The 2018 farm bill conference report had been slated for consideration and final passage by the House Wednesday—exactly 28 years and 1 week from the date on which then President George H.W. Bush signed the Food, Agriculture, Conservation, and Trade Act into law. However, Congress has primarily suspended legislative activity this week—with Wednesday as an official day of mourning—as the nation pays respects to the 41st President of the United States whose hand enacted the 1990 farm bill. The expectation now is that the 2018 farm bill conference report could be filed as early as next Monday, Dec. 10, and considered by each chamber on final passage after that, with President Trump expected to sign the measure into law. Given the expected passage of a Continuing Resolution to keep the government funded for two weeks beyond the current deadline of Dec. 7 in order to iron out full-year appropriations for FY 2019, the runway has gotten a little longer to finally complete a farm bill before Congress breaks sine die. While the additional time makes a long, drawn-out process seem even longer, perhaps it will come as a consolation that the 2018 farm bill will be the first since the 1990 farm bill that has not required two calendar years to complete, making this farm bill process a short one by comparison. While word of the farm bill’s contents has been trickling out in various news reports, we are reluctant to get out in front of the conference committee which has been working tirelessly for months to iron out a final agreement. But, we do have reason to believe that the 2018 farm bill ultimately unveiled will reflect a good many of the priorities of the Minnesota Corn Growers Association (MCGA). A top priority of MCGA has long been to protect and preserve Federal Crop Insurance—and the 2018 farm bill is poised to deliver on this goal, together with some improvements to augment the availability of crop insurance for industrial hemp, cover crops and underserved crops and producers. 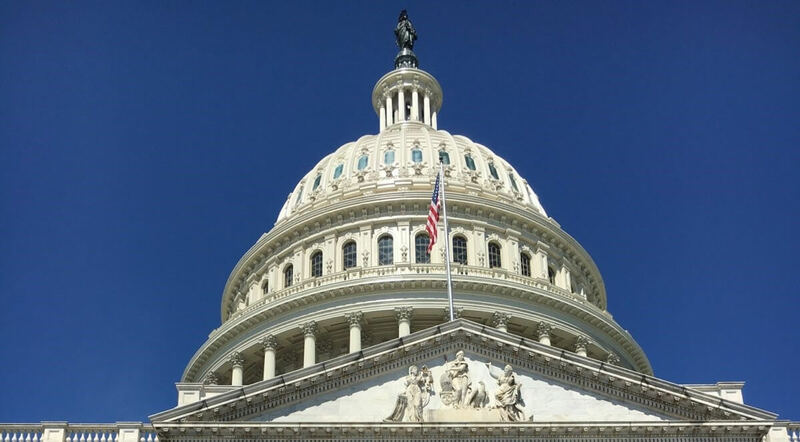 MCGA has also called on Washington to strengthen the farm safety net under the Commodity Title of the farm bill, something that lawmakers have struggled with given the flatline budget the Agriculture Committees have had to work with. Nonetheless, when the details of the 2018 Farm bill are finally released, we are hopeful that Washington will have drawn from the well of MCGA proposals to enhance the safety net at a relatively low cost, including through MCGA priorities to increase loan rates, offer farmers new elections between Price Loss Coverage (PLC) and Agriculture Risk Coverage (ARC), allow PLC and ARC reference prices to rise to better keep pace with price conditions, to carry out ARC using RMA or other appropriate yield data, including the use of trend-adjusted yields, and to permit farmers to update their yields. Should they come to fruition, these improvements would not be a panacea for all that ails Minnesota farmers—but each of these MCGA proposals and others MCGA has proposed would certainly help farmers at a time when help is so greatly needed. Maintaining a strong conservation title—including increased acreage under a Conservation Reserve Program with an increased focus on fragile lands—and continuing in-kind U.S. food aid to those around the world in desperate need are two more steps Washington can take to ensure that farmers have the tools necessary to take care of America’s natural resources and those less fortunate beyond our nation’s borders. Meanwhile, full funding of the Foreign Market Development Program and the Market Access Program, new investment in the energy title, and the first ever increase in individual Farm Service Agency ownership and operating loan limits in 16 years are meaningful ways to help rebuild our critical export markets while ensuring farmers have the capital needed to produce a crop and the resources necessary to invest in new crop uses. Since Nov. 28, 1990, when President George H.W. Bush signed into law the 1990 FACT Act, four more farm bills have been signed into law with a fifth underway. One thing each farm bill has had in common is the prediction by pundits that it would be the last. Beyond this irony, each of the past five farm bills has left its mark on the direction of U.S. farm policy. We owe the 1990 farm bill for enhancing planting flexibility, which the 1996 farm bill would take prime time. We owe the 2002 farm bill for strengthening the farm safety net in the face of crisis, and the 2008 farm bill for saying the course. And we owe the 2014 farm bill for achieving budget savings while also creating new risk management tools to succeed those that had become obsolete. Now, the 2018 farm bill will be tested under very tough economic times. While we believe that greater investment in the farm safety net is certainly called for and would have helped ensure the farm bill’s success, we are confident that even these modest improvements that MCGA has advanced can help farmers better weather the current economic storm.